Poland is already producing a quarter of Europe’s household appliances, and the industry is going from strength to strength. There are challenges ahead, but with challenges come great opportunities. Can Poland become the “Silicon Valley” of home appliances? Poland’s household appliance production increased by 22 percent between 2013 and 2016, from a little over 18 million to over 22 million pieces, according to industry association CECED Polska. The total value of household appliances (washing machines, dishwashers, fridges etc.) manufactured in 2016 stood at PLN 16 billion (€3.8 billion). That’s nearly a quarter of the entire value of the European home appliance market, which stood at €15.5 billion in 2016, according to estimates by statistics portal Statista. 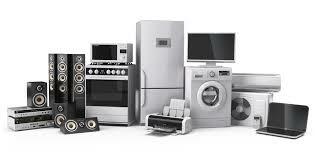 The increase in production volumes can largely be attributed to the growing exports of Polish home appliances, as some 87 percent of the entire Polish production is exported (19.2 million pieces out of 22.1 million produced last year). In 2005, household appliances accounted for 1.82 percent of Polish exports, while ten years later they made up 2.52 percent of the country’s total export value. Poland’s top export markets for household appliances are Germany (21 percent), the UK (13 percent), France (12 percent), Italy (8 percent) and Russia (6 percent). Altogether, the top five destination markets account for 60 percent of total home appliance exports. Such strong concentration could be a reason for caution. Andrzej Szewczyk, deputy director of the Economic Promotion Department at Polish Information and Foreign Investment Agency (PAIiIZ) believes Poland needs to diversify its export markets and reach further. “This is where we are going to support the sector as best we can,” he said. Poland mainly exports washing machines (23 percent of the total household appliance export sum), fridges and freezers (19 percent), cooking appliances, dishwashers and small household appliances (14 percent each). Historically, some of the main factors behind Poland’s success as a home appliance powerhouse were its location and increasingly strong position in Europe, as well as significantly lower labor costs and good quality technical education. Over the years the country has attracted some of the world’s largest household appliance manufacturers to invest in Poland, including Ariston, Bosch, Beko, Candy, Electrolux, FagorMastercook, Gorenje, Indesit, Miele, Philips, Samsung Electronics and Whirlpool. “Foreign capital is the main reason why Poland has become a leader in household appliance production in Poland. Many investors have chosen Poland because of its excellent workforce and labor costs that are lower than in Western Europe. Poland also offers lower transportation and logistics costs. We are still very competitive compared to Asia, where a lot of home appliances are produced as well,” said Adam Cich, CECED Polska’s president of the management board, and General Manager CEE of Electrolux Major Appliances. There are 27 home appliance production plants in Poland, employing 22,000 people, according to CECED. Most of them are located in three main hubs: Wrocław, Łódź and Wronki near Poznań. These areas have some of the lowest unemployment rates in the country (Wrocław’s being approx. 4 percent) and soon employers will have to face employee shortages. “I believe the most important challenge for the household appliance industry in Poland is human resources and securing the new generation of employees – constructors, engineers, programmers and electricians,” said Cich. Still, there are also several manufacturing plants located in eastern Poland, in the Podkarpackie and Podlaskie voivodships, which offer both lower production costs and more ample labor pools. These two factors may well offset longer transportation routes to Western Europe, particularly in conjunction with the recently completed east-west A4 highway connecting Podkarpackie with Germany, and the S8 expressway, currently under construction, that will soon bring Podlaskie “closer” to the West. There are also those who claim that turning Poland into an “assembly plant” is hardly a step forward for the country’s economy. Rather it places the country in the precarious position of having to compete on cost with Asian producers. Others disagree, saying that Poland may have started out with assembly plants but has since become a powerhouse in both advanced business processes as well as R&D. “The industry in Poland has made an enormous leap over the past 10 years. Our production plants are production complexes now, comprising R&D centers, laboratories, supply chain departments as well as a back office maintaining their operations. We want the industry to be rooted in Poland, both in terms of production and all the aspects surrounding it,” said Cich. 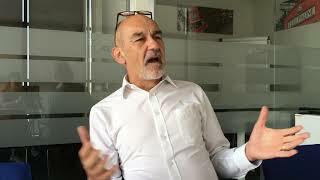 Wojciech Konecki, CEO of CECED Polska, claims that the bad PR the industry has been the target of is not only undeserved, but in most cases simply false. “The biggest challenge before the industry is, in my view, fighting stereotypes, such as calling Polish plants ‘assembly lines’ or talking about a shorter lifecycle of products. We will continue to debunk these stereotypes.” The shorter lifecycle of products may indeed be observed, but it is not due to the in-built obsolescence as some might suggest. The reason for it is consumers who chose to replace their current appliances with ones that feature more innovative functions as well as a new design, according to the survey carried out by TNS. Andrzej Arendarski, president of the Polish Chamber of Commerce, is convinced that it is technology and innovativeness that will help Poland further strengthen its position on the global home appliance market. “If we continue to have a firm grasp of technology, excellent staff, innovative technological thinking and customer-facing solutions, Poland stands a chance of becoming the ‘Silicon Valley’ of household appliances,” he stated. Poland has thus far kept abreast of the new tech trends in the home appliance business. “We are manufacturing a fridge in our Wronki plant called Family Hub. It is the most cutting-edge fridge in the world,” said Jacek Łęgiewicz, director at Samsung Electronics Polska. Its functionalities go way beyond refrigeration. It helps you compile a shopping list and offers innerview cameras to aid you when you’re shopping. It also keeps a family calendar and can even be used for communication: if your child sends a picture from a summer camp, it can easily be displayed as a postcard on the fridge for the whole family to enjoy. “There are only two places in the world where this fridge is being manufactured: Poland and South Korea,” Łęgiewicz added. The Internet of Things is coming to the home appliances industry, for better or worse. Despite all the reservations some still have as to its security, there is definitely a growing demand for “smart” appliances. “We can see the need to make products that can communicate with one another, and at the same time are proofed against information leaks, such as when and how we utilize the appliance. It’s sensitive data that producers would be happy to use, but which could also be abused by hackers,” said Konecki. With the increasing labor costs, the household appliances industry has no other choice but to go “smart” in order to maintain its competitive edge and growth rate. And the way to do it is to keep an eye out for new opportunities, both through geographical diversification, attracting young, well-educated staff and through embracing cutting-edge technology.